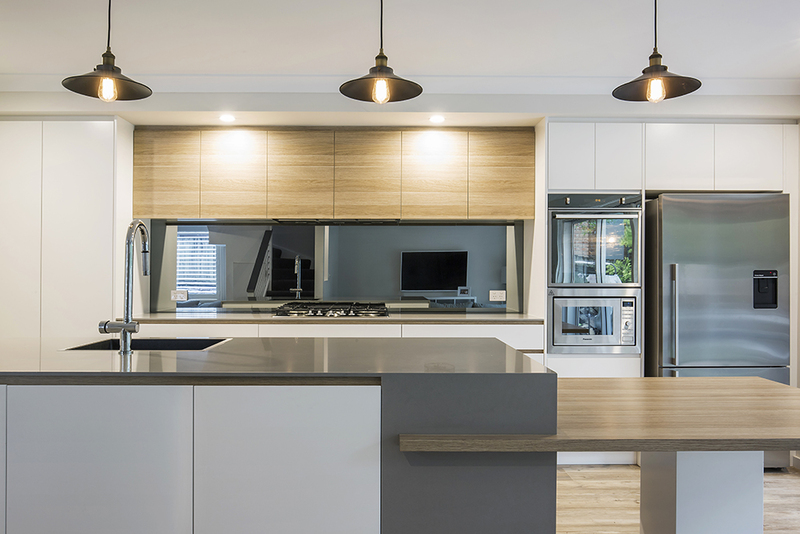 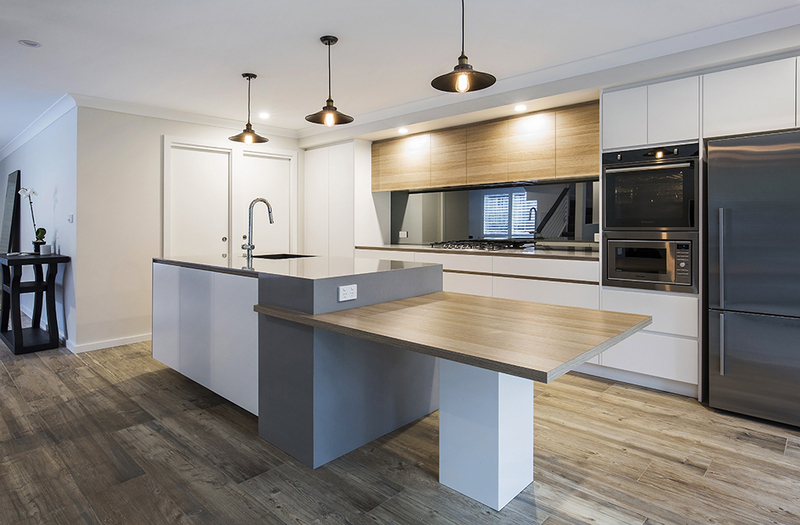 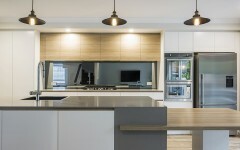 Beautiful Kitchen design and installation in Mona Vale on Sydney’s Northern Beaches. 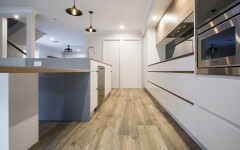 Sile Stone 12mm thick counter tops in Kensho. White polyurethane doors with sharknose detail. 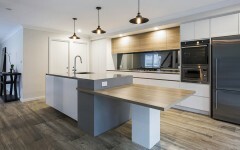 Polytec Natural Oak Ravine range for wall cabinets – shadow line detail and low seated bench top.